If you’re a business who has decided to litigate, then our business litigation team can help. We understand the risks and the associated costs of litigation, and will fight tirelessly to win your case. We specialize in high-dollar breach of contract disputes. After analyzing the strengths and weaknesses of your case, we will determine your rights and defend your case aggressively. We understand the complex dynamics involved in business disputes within closely held companies and business partnerships. Make a clean break for your business, or avoid it altogether. Government litigation can present procedural and substantive hurdles to your case. 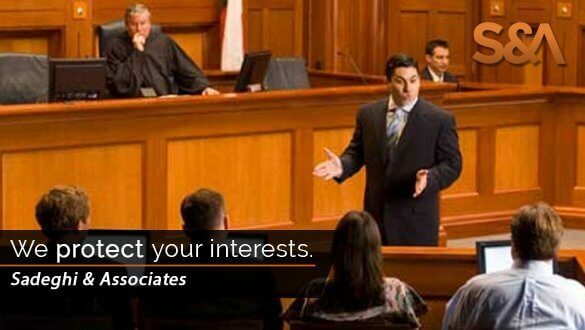 Our attorneys know the intricacies of governmental litigation and policy issues that can protect your interests. Should a frivolous lawsuit be filled, or if you decide to prevail with a malicious prosecution, our expert California litigation lawyers can aggressively defend your business interests. Business litigation is a play of numbers, and the damages, value, financial analysis and appraisal that comprise these numbers are what you need to prove your case. The expert you choose to represent your business in court could make or break your case, so it’s important to engage a legal counsel who knows the rules of the game. What sets Associates apart is that our attorneys enter a litigation dispute with the attitude: “when you must litigate, you must win”. So if your company has decided to litigate a matter, work with our team of experts who understand the risks and associated costs of litigation, and who will fight tirelessly for your interests in court, and win. Business disputes arise. That’s a fact of doing business. It’s when these disputes can’t be resolved through negotiation or arbitration proceedings that business litigation comes in. Finances and Investments: If you suffer excessive financial loss due in part to unethical behavior by a financial broker. Intellectual Property: Any patent, trademark or copyright infringement. Breach of Fiduciary Duty: When a member breaches his duty to operate in good faith and loyalty. Insurance Disputes: When an insurance company attempts to avoid fully paying a legitimate claim, or if a fair claim is undervalued or declined. Of course, resolution of a business dispute without business litigation measures will always be preferable for everyone involved. But for those cases where that just isn’t possible, our professional attorneys can be invaluable in protecting your rights and your company’s business interests. Identifying risks and avoiding business litigation whenever possible is paramount to our team of dedicated attorneys. Instead, we use negotiation, alternative dispute resolution, and other proven legal practices to attain a winning result out of the courtroom. If such measures do not prove fruitful, we will be prepared to go to court to aggressively represent your business interests. Assisting clients seeking to protect their patent, trademark, copyright and other intellectual property rights. If you’re considering taking legal action for business litigation, then contact us to book an appointment before you proceed any further. It could be the difference between winning, and losing your case.